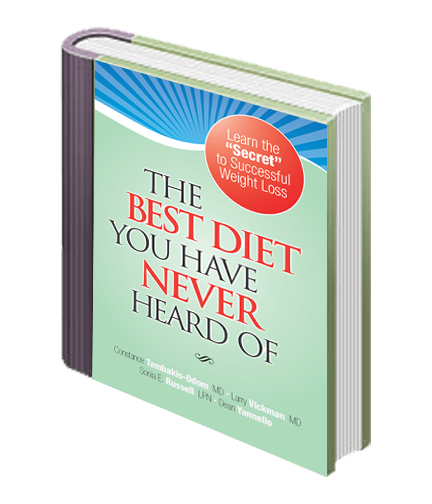 “The Best Diet You Have Never Heard Of” eBook is a modernized medical revision of the “original” HCG Diet Protocol that was written over 50 years ago. Dr. Larry Vickman and Dr. Constance Tambakis- Odom are the first physicians to design a safer, healthier, effective and more tolerable protocol for the patient. Also, developed as the premier tool for hCG weight loss practitioners across the country. They have integrated the latest modern medical advancements and increased the daily caloric intake from a VLCD to an LCD (Low Calorie Diet), now less than 800 calories. You will learn why only physician prescribed 100% hCG hormone can access abnormal fat, spare your lean muscle and why other products that claim they are hCG just don’t work long term.